NEW YORK, NY--(Marketwired - Jul 17, 2015) - Atlantic Records' CeeLo Green has announced the arrival of his eagerly awaited new single and studio album. Green's new single "Robin Williams" arrives this Friday, July 17th at all DSPs. "HEART BLANCHE" -- which marks the GRAMMY® Award-winning superstar's first full-length release in nearly five years -- arrives worldwide November 13th. 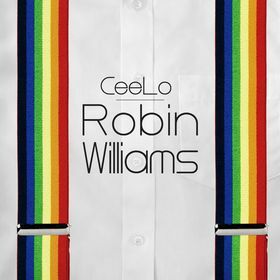 "'Robin Williams' is a homage to our humanity," says CeeLo, "centered around the strength it takes to smile in the face of adversity." 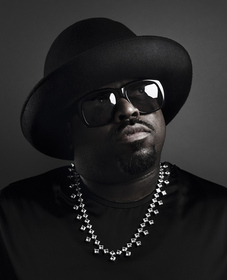 Singer/songwriter, producer, performer, TV personality, fashion icon, entrepreneur, and so much more, CeeLo Green is among the most creative and unique artists of this or any era. The ATL-native's first all-new solo album, "HEART BLANCHE" is the massively anticipated follow-up to 2010's blockbuster, "THE LADY KILLER." "THE LADY KILLER" was of course highlighted by a pair of GRAMMY® Award-winning hit singles the #1 smash, "Fool For You (Feat. Melanie Fiona)" and the epochal, 5x RIAA platinum certified worldwide sensation, "F**k You." Interlude is a media and technology company at the forefront of immersive video entertainment. Interlude creates and distributes premium interactive content using its patented technology. Now viewers can actually step into the narrative and impact its course in real time, empowering a generation that wants to move beyond passive viewing. Bringing together creative expertise and innovative technology capabilities, Interlude crafts experiences that introduce a new element of magic to storytelling. They have produced original, premium content with premier media organizations including Warner Music Group, Disney, Fox, and Viacom, and have partnered with global brands such as Lincoln Motor Company, Coca-Cola, Dos Equis and BMW on industry-leading branded entertainment, commercials, music videos, short films and long form projects. PRETTYBIRD is a creative think-tank that provides clients with distinct visionary work across the ever-evolving entertainment and branding landscape. Opening their doors in 2007, executive producer Kerstin Emhoff and director Paul Hunter aimed to embrace the music and filmed entertainment world in a different way. With extensive backgrounds in awarded-winning commercials, music video, documentary features and new media, the intent was to create a company that could develop and execute high-end entertainment by inviting directors, artists, writers and web developers to produce cutting-edge content for an array of global clients including GE, Microsoft, Nike, Coca-Cola, Kia, Volkswagen, Adidas, Burger King, L'Oreal, Hyundai, ESPN, BMW and Beats among many others. The company's accolades include the highly coveted Cannes Lion, a D&AD Yellow Pencil, a Clio, MTV's Video of the Year, an Emmy, and Grammy. For more information, visit http://prettybirdus.com/.